The fully reversible window uses innovative design to maximise light and provide extremely user-friendly maintenance. 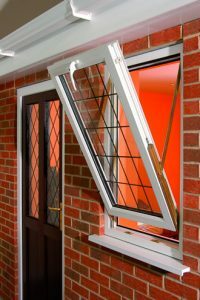 The window’s unique 180° degree opening action means that you reach the external glass from inside and clean both sides of the window from inside the house – the perfect solution for cleaning upstairs windows safely. This is a popular choice for use in high-rise properties but also has its fans in low-rise properties due to its style and ease of use. It also allows for varying degrees of ventilation. You don’t have to have plain glazing for your fully reversible windows. We offer decorative, privacy, textured and leaded glass options in a double glazed unit.